China strikes again. A new invention could change the fate of Liuzhou. A project brought to life by Chinese authorities has plans to combat air pollution. The “Green City” will have about 30,000 people. The neighborhood whose architect is Stefano Boeri Architetti will be somewhat accustomed, including houses, hotels, offices, hospitals and schools, but the only thing that will make a difference are the buildings covered with plants and trees. The good news is that Liuzhou will be ready in 2020. “Green Buildings” will absorb 10,000 tons of carbon dioxide per year + 57 tons of other substances and will produce 900 tons of oxygen. Having a big succes with this project, the company is considering expanding to Lausanne in Switzerland and Nanjing in China. 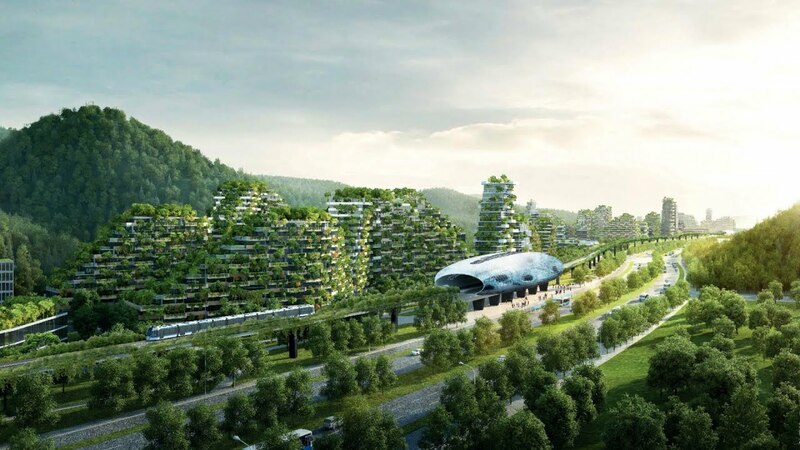 One million plants out of 100 different species and 40,000 trees will be among people in this “forest city”. Plants will help to lower the temperature, sound insulation of buildings and improvement of air quality. New ecosystems will be created for different species of insects, small birds and small animals. Solar panels will be used for power supply.